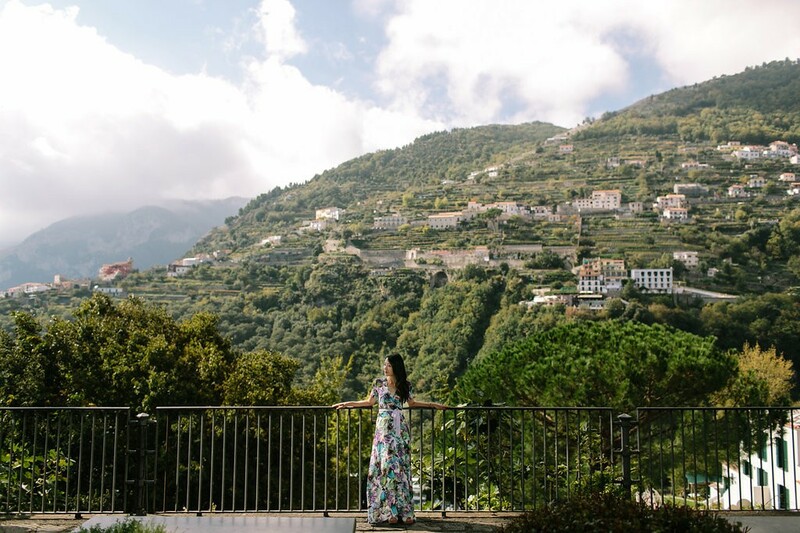 I recently had the pleasure of visiting the Amalfi Coast, looking to relax and enjoy a destination that had breathtaking views. I didn’t want to take in sights or do a ton of walking. I found myself drawn to Amalfi Coast the same way it draws everyone in – beautiful mountains, blue waters and quaint towns. 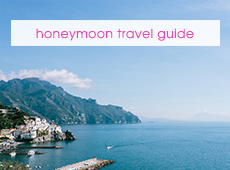 Keep reading for my honeymoon travel guide for the Amalfi Coast. 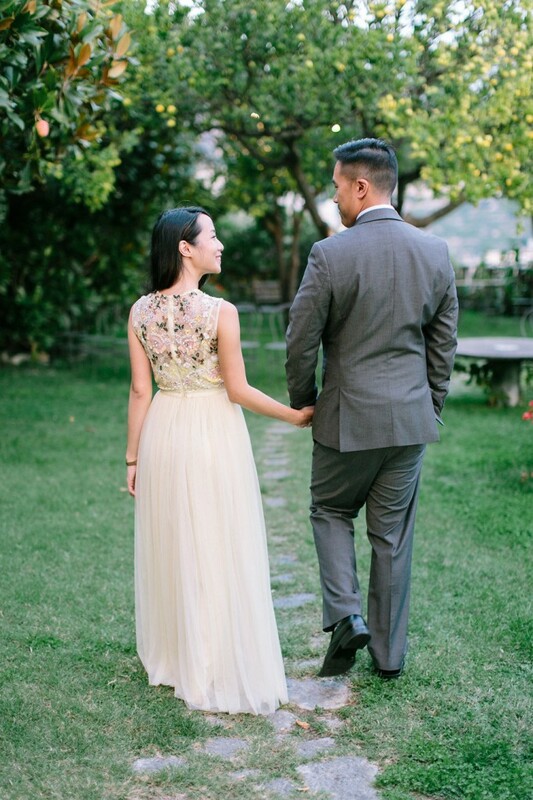 A huge thanks to Joee Wong Photography for helping me capture our trip so beautifully! 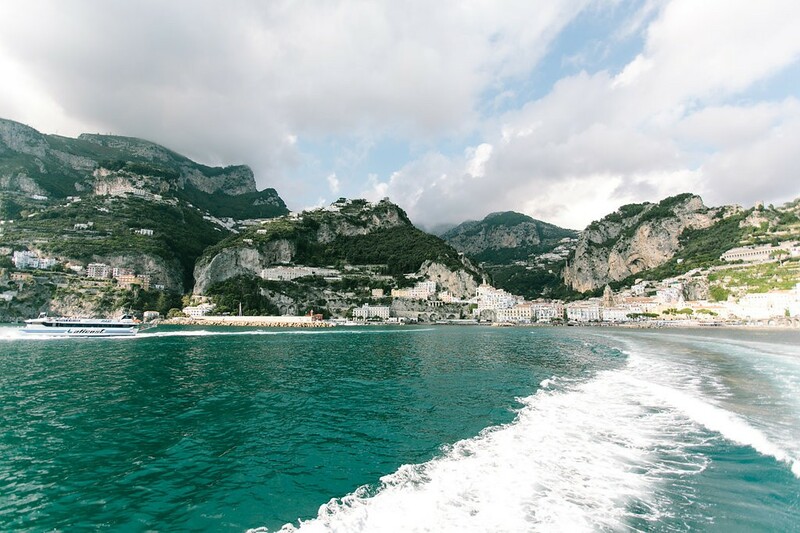 There are a few towns that make up the Amalfi Coast – Amalfi, Positano, Salerno and Sorrento to name a few, all linked by ferries and roads. Every city is beautiful in its own way and you are right on the water. 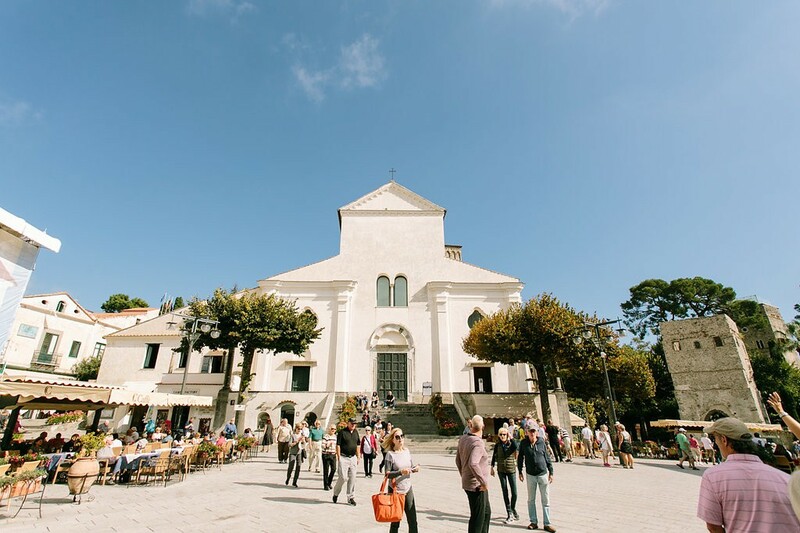 Compared to Cinque Terre where you have five fishing villages set atop mountains, the Amalfi Coast felt more developed and, thus, with more conveniences and services available for a honeymoon trip. 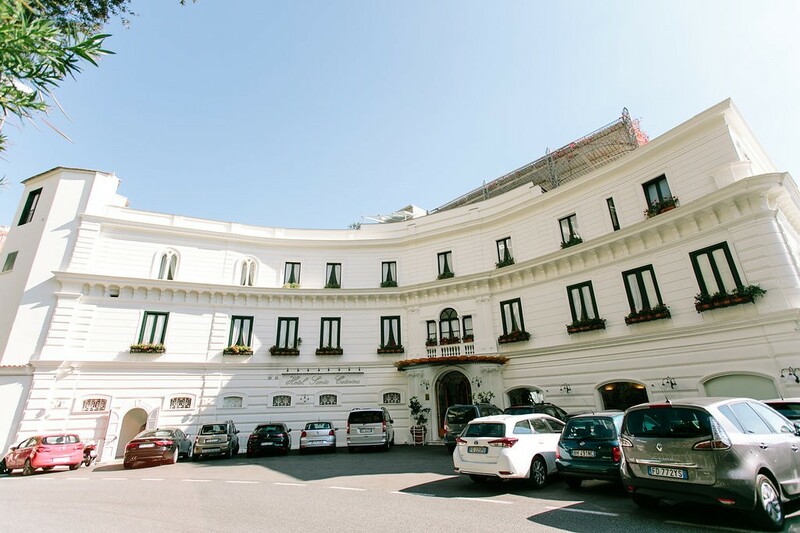 It also had more luxury hotels offering a more refined experience, where the Cinque Terre felt very local. Cinque Terre towns are also connected by hiking trails, where in the Amalfi Coast to travel to and from the various towns you will need to set aside a good chunk of change to either ferry or taxi around. 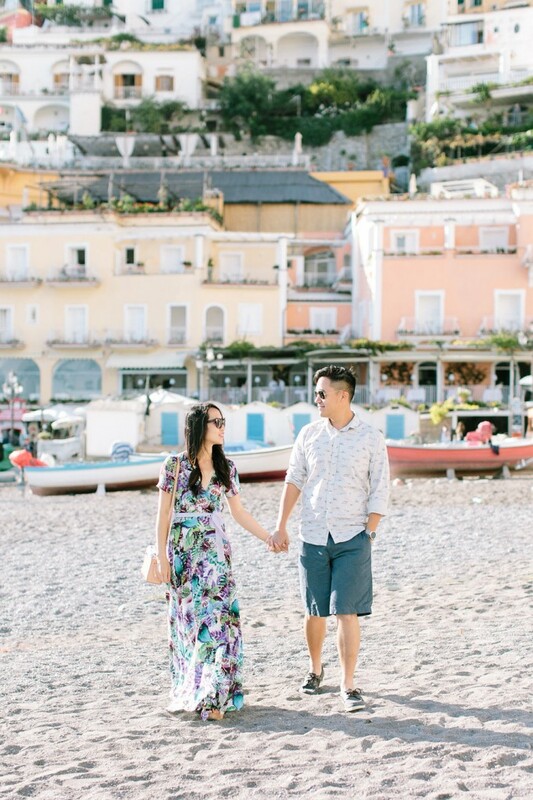 While Positano was a cute and colourful town, it was more at sea-level with a beach area. I wanted a hotel with a view, so I picked one in Amalfi and boy was I happy I did! 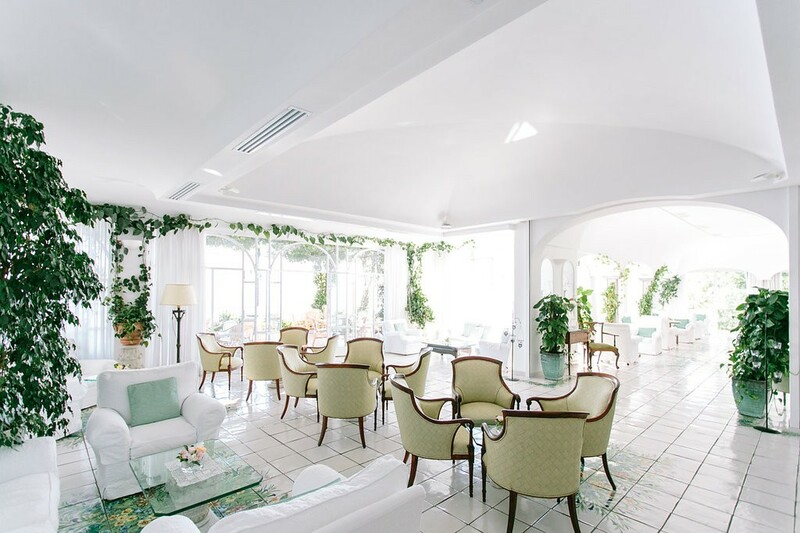 I had the pleasure of staying at Hotel Santa Caterina, a Five-Star Luxury hotel set on a mountain in Amalfi. 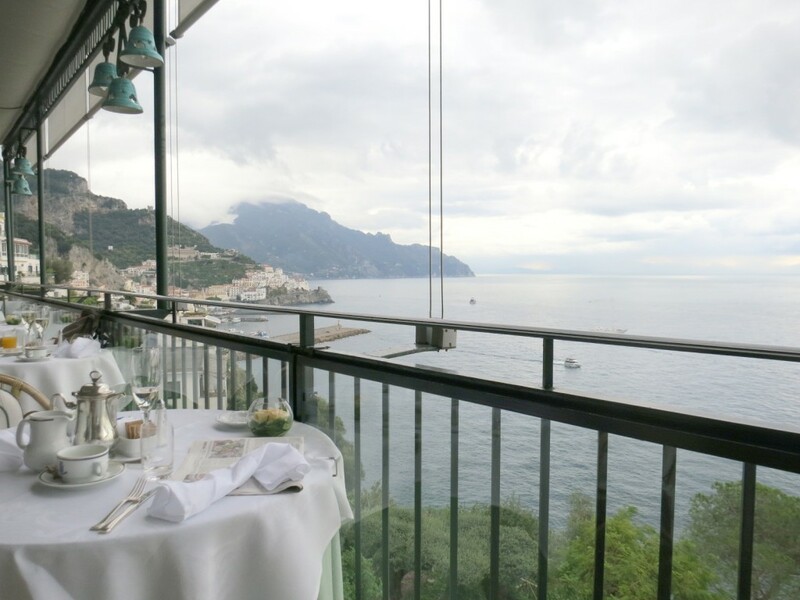 We stayed in a junior suite with ocean view, overlooking the town of Amalfi and the waters. 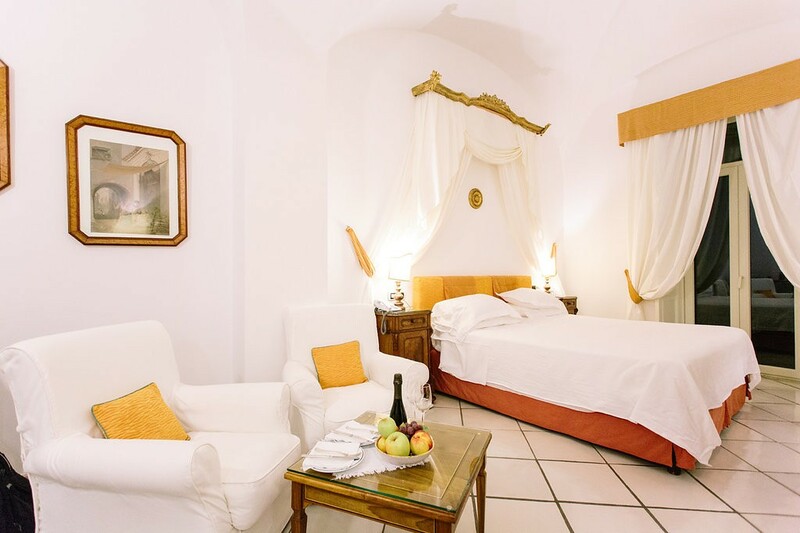 If you are planning on staying in Amalfi and looking to get a little spoiled, Hotel Santa Caterina is where you need to book! 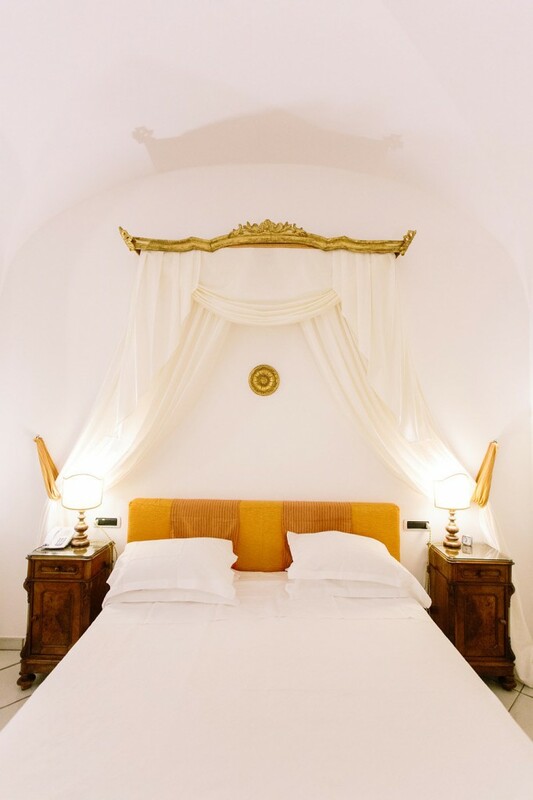 Location: Located just outside the busy town of Amalfi, you get the best of both worlds – easy access to Amalfi and ferries, while being far enough that you can enjoy some privacy. Amenities: Between their beautiful gardens, spa, pool, private sun deck and dining area with a view, there isn’t much else you can ask for. 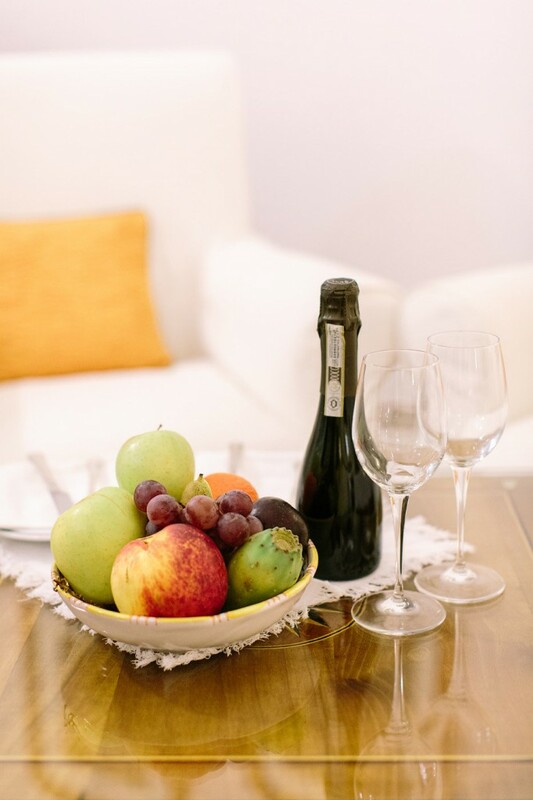 Dining: Breakfast is included with your stay and offers a variety of fresh foods at your fingertips. 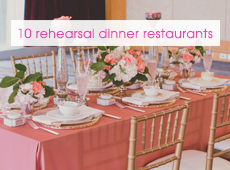 You can also eat lunch by the pool and enjoy fine dining for dinner in their main restaurant. 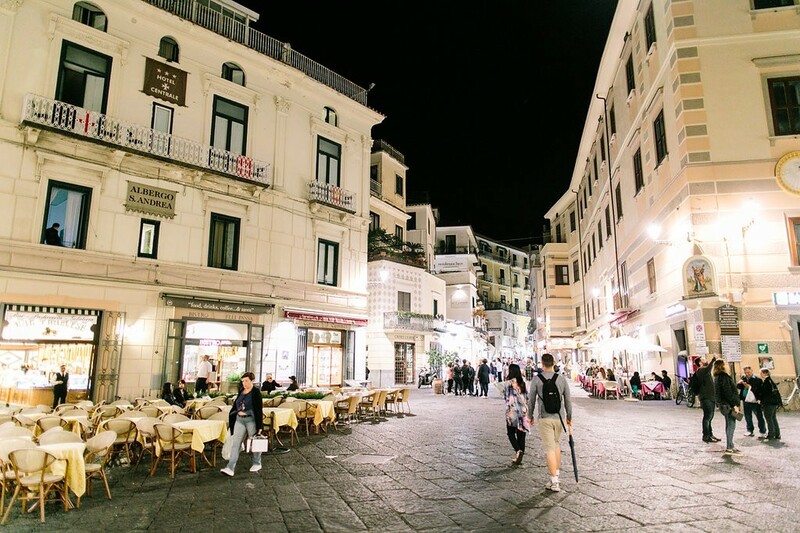 The town of Amalfi is a 10-min walk or a 2-min shuttle ride (a free shuttle is offered that runs every 30min), so you can choose to dine elsewhere as well. Getting here: Any destination with water and mountains are going to be a little remote. Fly into Rome or Naples. From there take a train to Sorrento or Salerno and arrange for a private transfer to Amalfi. Taxis are unfortunately really expensive here, but it is the only way to get out of the area. 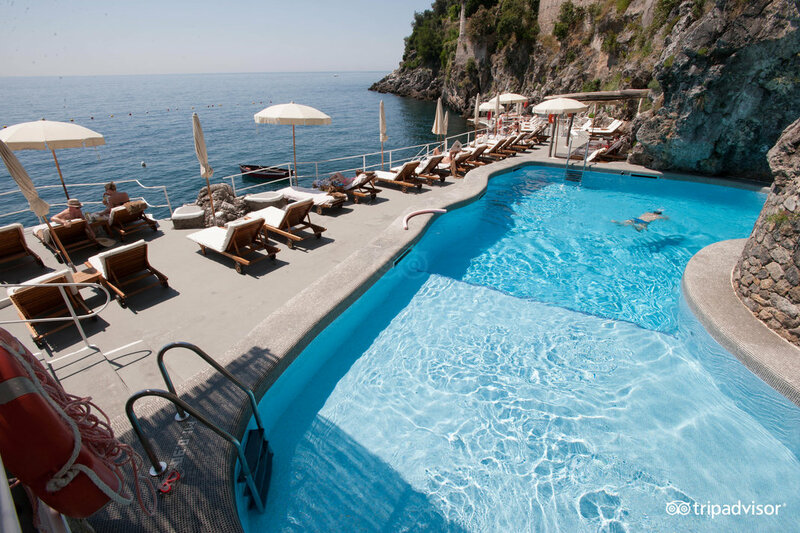 Hotel Santa Caterina, set atop a mountainside overlooking the waters in Amalfi. My room? Located just above the red clay tile roof! The bar and lounge area with nightly music from a pianist. My Junior Suite with Oceanview. 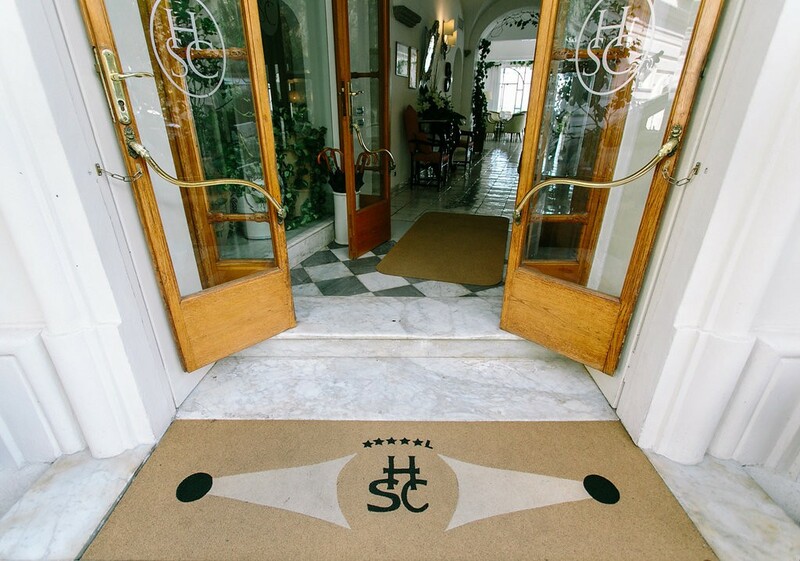 The style of the hotel and suite are of classic elegance with old world charm. 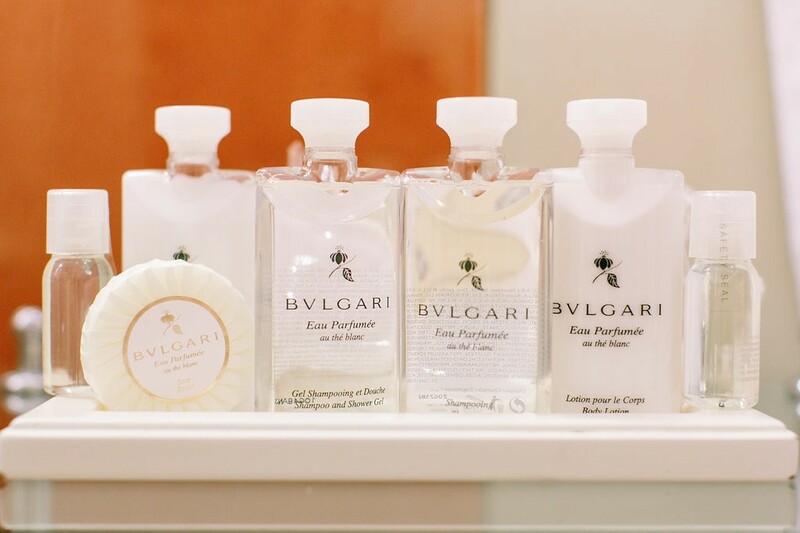 You will definitely smell great on your honeymoon thanks to the Bvlgari toiletries. The Junior Suite comes equipped with modern amenities and a lovely jacuzzi tub which I enjoyed (a few times). The unreal view from my balcony. I wish I could wake up to this everyday! Selfie from the balcony. Unreal. Breakfast with a view. Even on a cloudy day, it was beautiful. Checking out the garden at Hotel Santa Caterina. I woke up like this.. said no one. 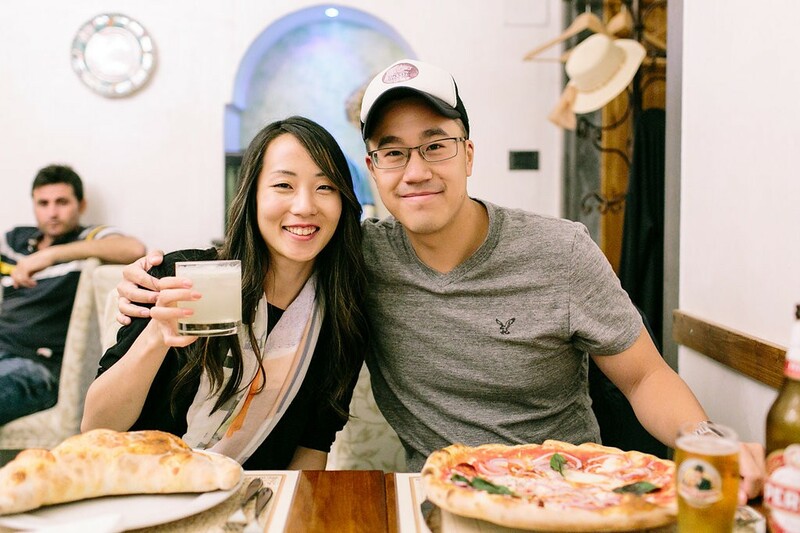 If you are heading to Italy, you go with an expectation that you will be eating pizza and gelato every day. It’s a no-brainer. Luckily I really love pizza and gelato! 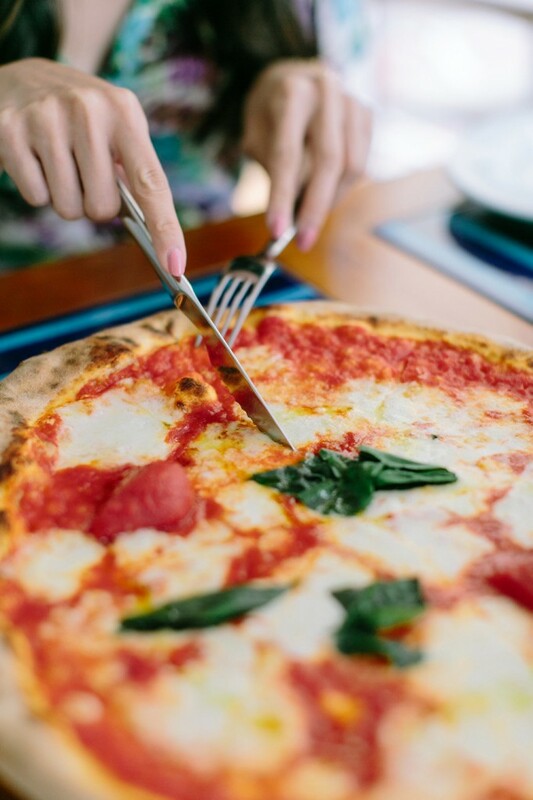 Margherita pizzas all day, every day. Even the worst gelato is great in Italy. My favourite gelato by far was from Andrea Pansa, a charming bakery in the main piazza in Amalfi. They only have four gelato flavours in their little cart in the front, but the pistaccio is out of this world. I had it at least once a day, it was so good. 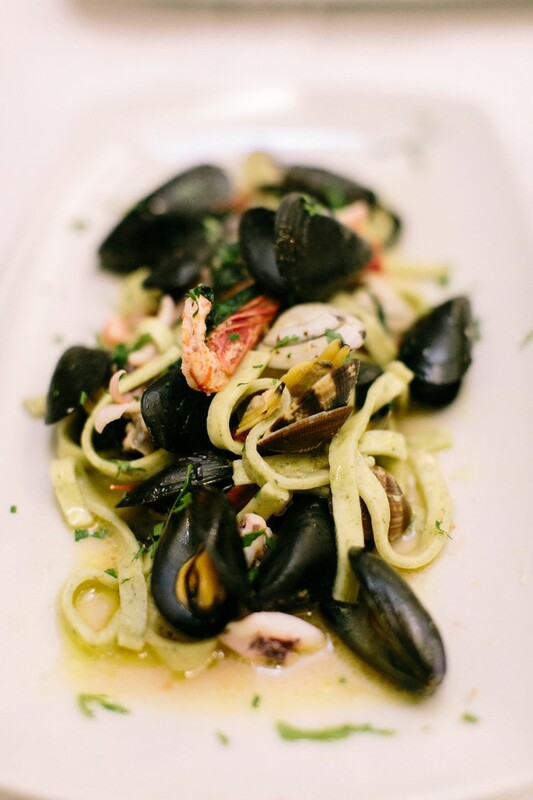 Seafood is also a local specialty, in case you enjoy clams, mussels, fish and shrimp. 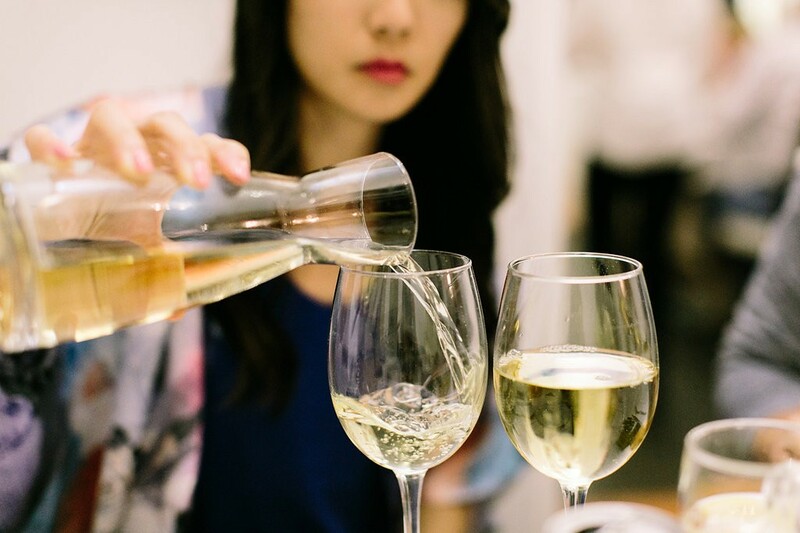 Wine is not much more expensive than water, so you might as well drink up while you are there! 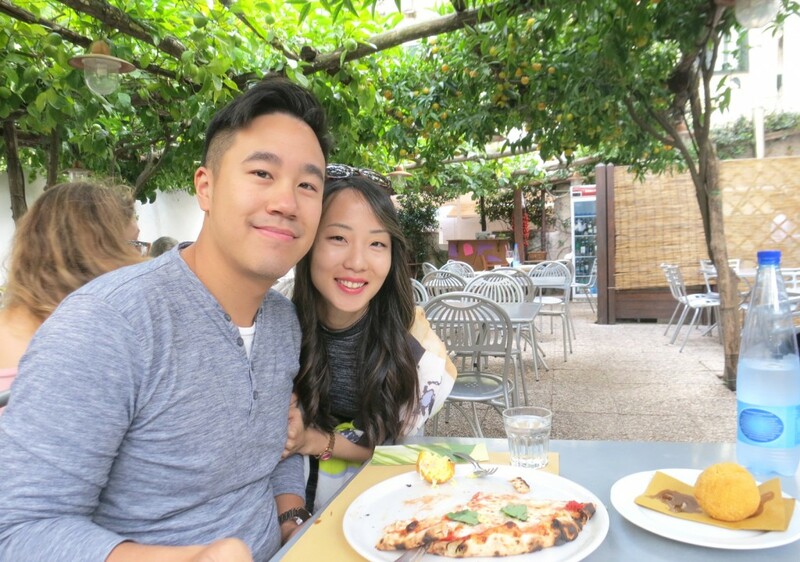 Selfie at Pizzeria Donna Stella, tasty pizza enjoyed under a canopy of lemon trees. So magical! 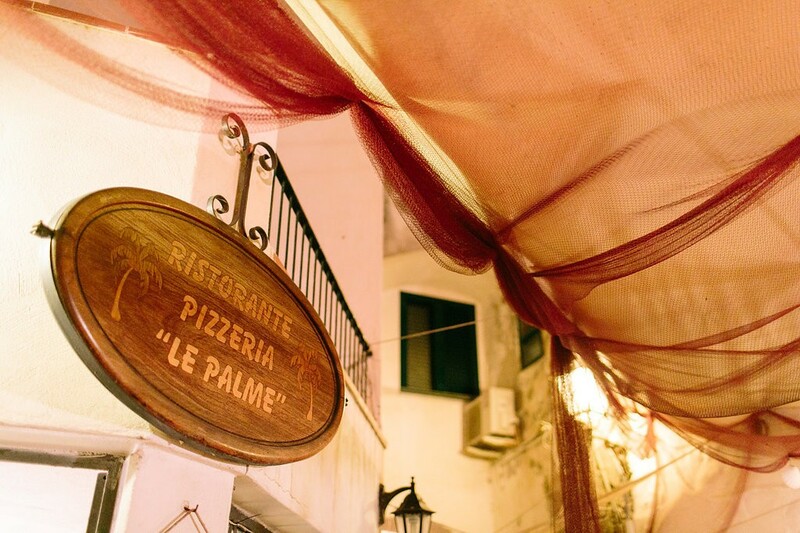 If you are looking to eat locally, check out a quaint family-run restaurant called Ristorante Pizzeria Le Palme. It came recommended as a local place with great pizza from our hotel. We loved it so much we back to eat there two more times. The food quantity, quality and service was top notch, and you are treated like an important guest. The owner even comes to pick you up from your hotel and drops you back off. 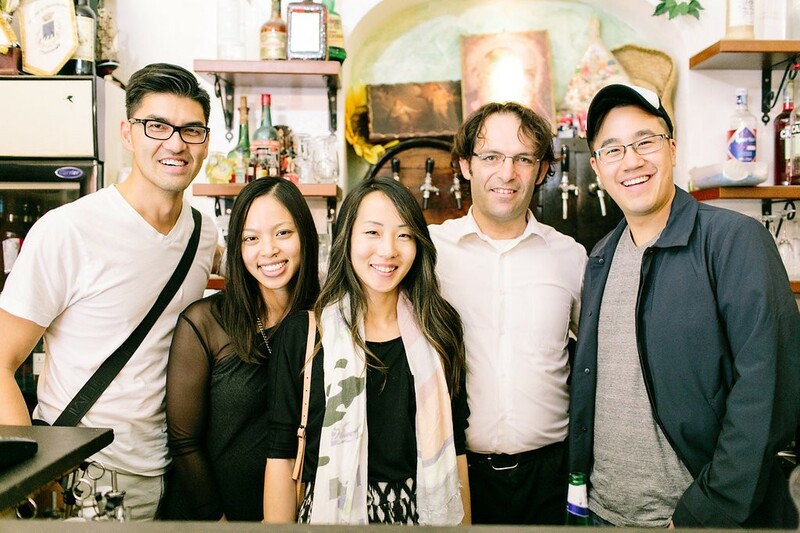 With one of the owners of Le Palme. Great guy! 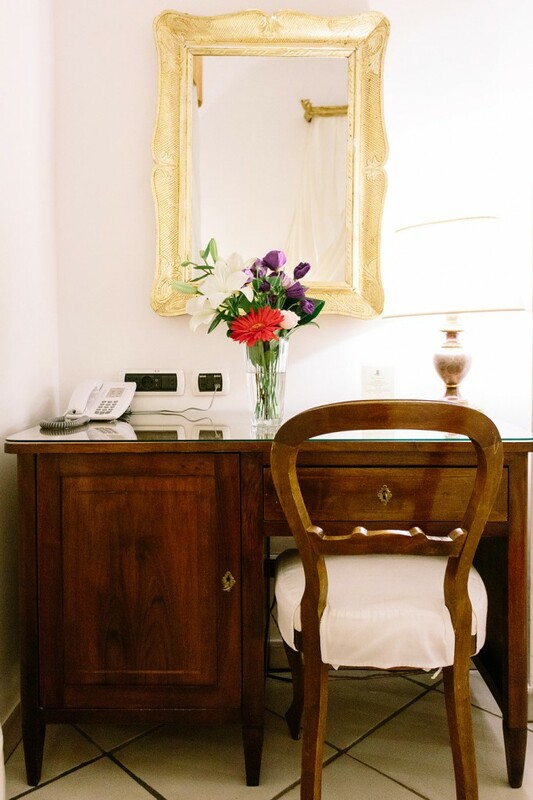 When in Amalfi, there are no museums to conquer or major sightseeing attractions. 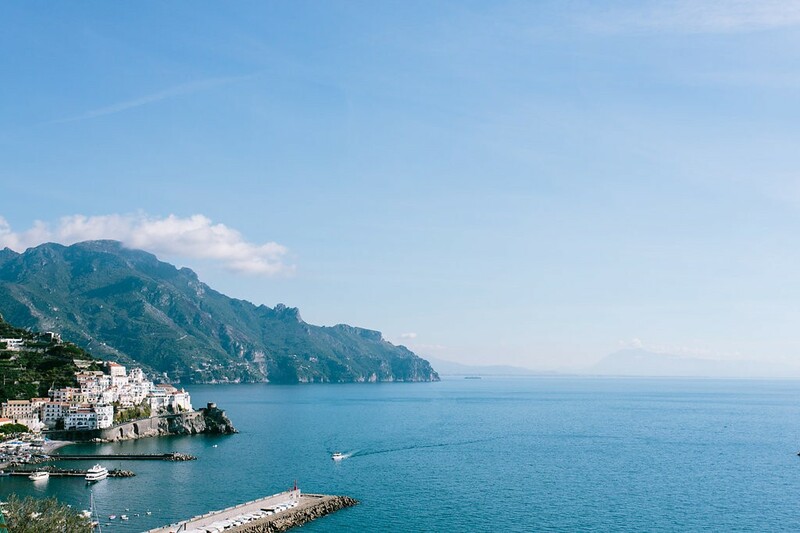 You head to Amalfi so you can relax, soak in the views and enjoy the local food. Sun worshippers can enjoy a few of the beaches in the area (though rocky) and there are a couple nearby towns to explore as well. Hiking through the mountains is also great. 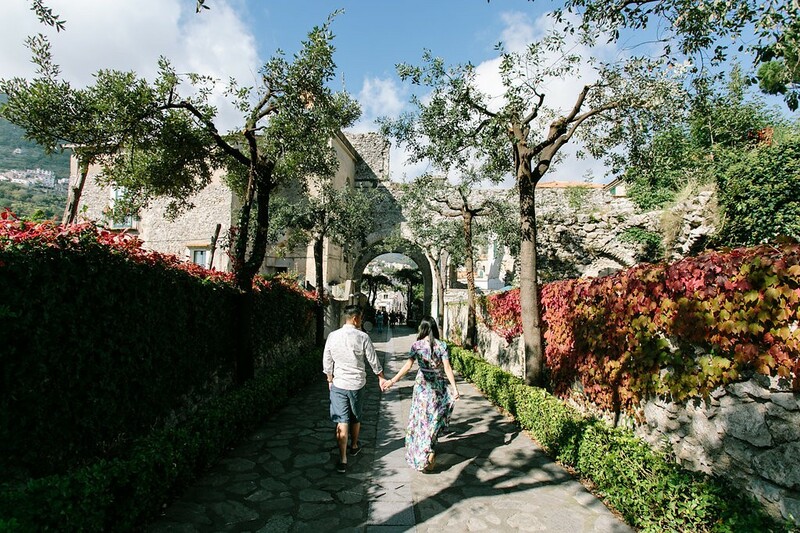 A short taxi ride away from Amalfi is a small town called Ravello. 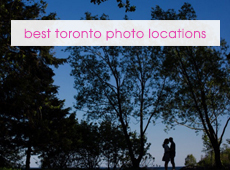 Set atop a mountainside, it offers beautiful views and a quaint town square. It’s not as busy as Amalfi, and would make a great half a day trip. 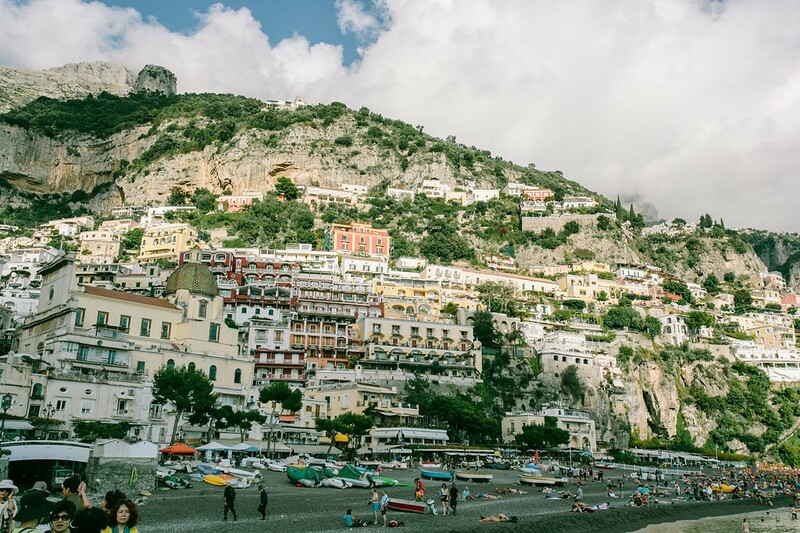 Positano is a bustling town at sea-level. There is a rocky beach with sun chairs to be rented, and a colourful town to explore. 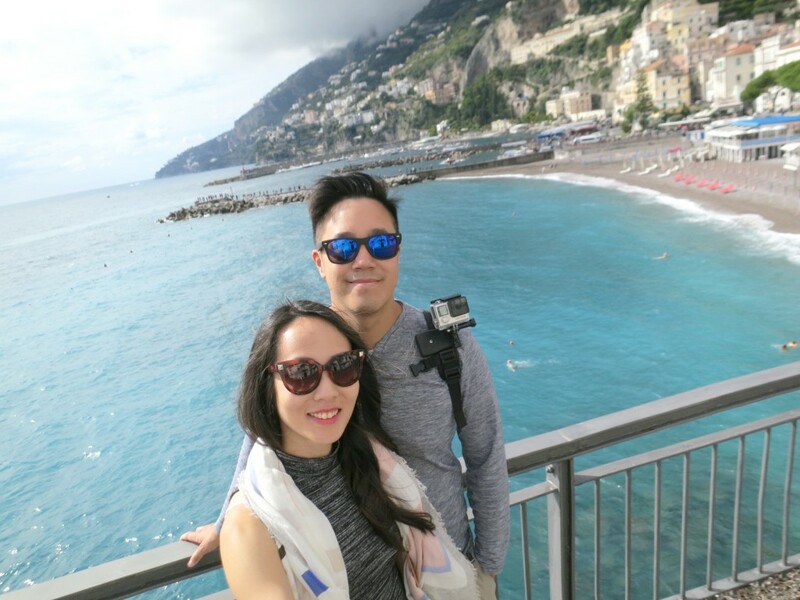 Amalfi is a beautiful town with a lot of places to eat, with breathtaking views from the pier. At night time, the square lights up. 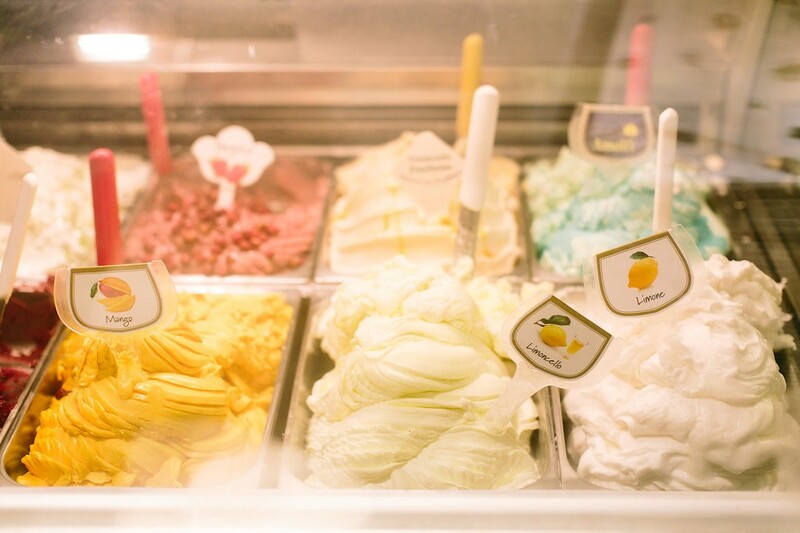 Make sure to have some gelato from Andrea Pansa! Selfie just around the pier of Amalfi. The waters are unbelievably blue! 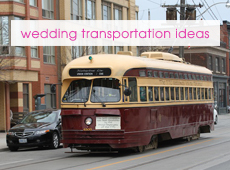 The ferries run between 8-6pm, allowing for day trips to the surrounding towns. 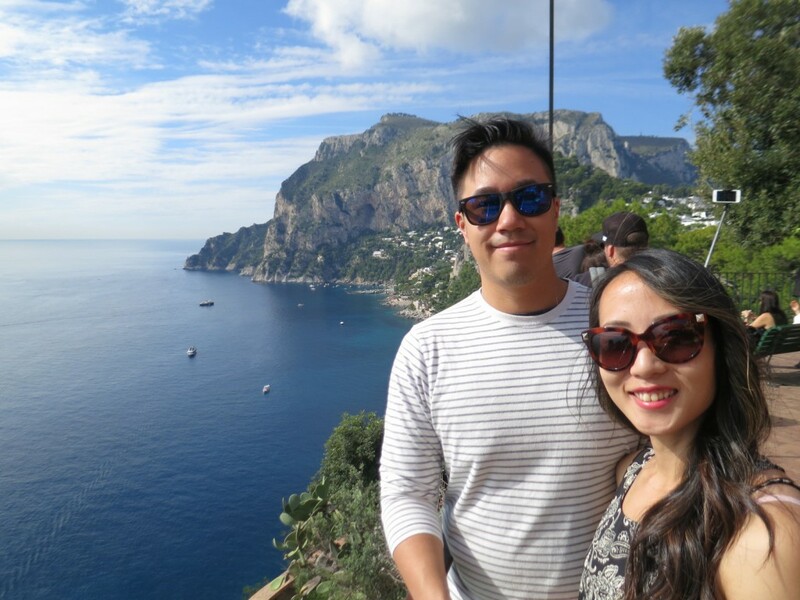 The island of Capri was the farthest from Amalfi, but we heard good things about it so we went to check it out. Full of designer stores and quaint shops, it was a nice day trip out from Amalfi. If you are looking to make any big purchases, do a little research on VAT refunds and get a good deal on designer stores here. Selfie in Capri at one of their lookout points. Just around the corner are views of the Faraglioni and about a one-hour hike to get back to town. 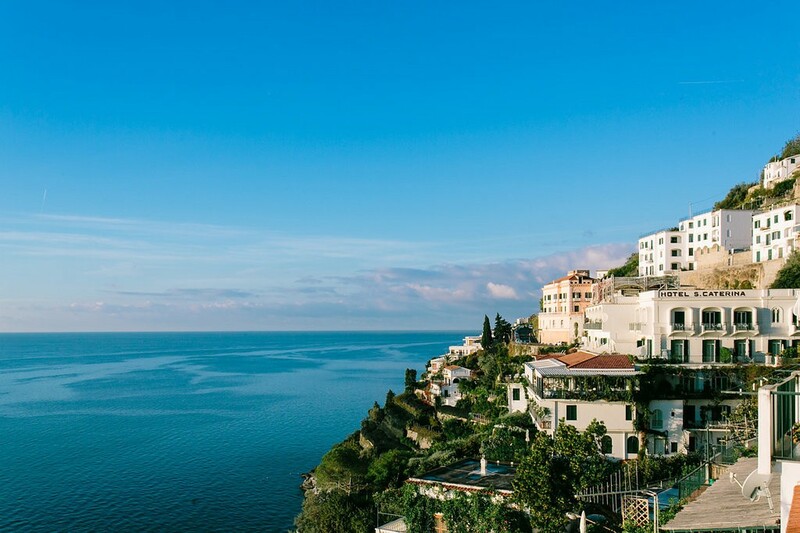 The Amalfi Coast is known for having great sun. It will be beautiful and sunny most days, so bring clothes to relax in and enjoy the waters with. 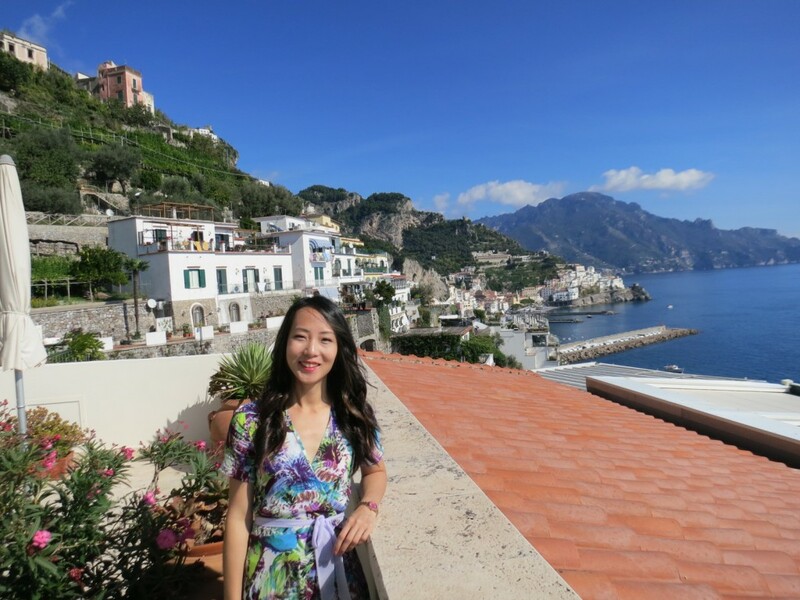 I travelled to Amalfi in the fall (October) which is considered shoulder season. We had a couple days with rain, but mostly sun. A mix of shorts and long sun dresses/pants would suit you well. 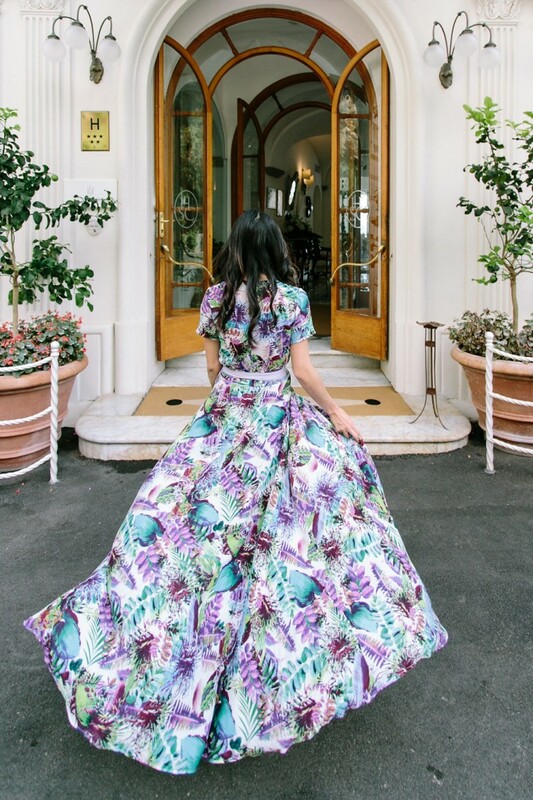 I am obsessed with this dress that I brought to Amalfi. 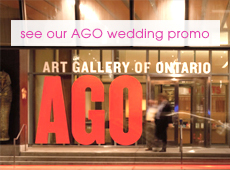 Created in Toronto by designer By Catalfo, this custom made dress was perfect for when I wanted to dress up a little. It had vacation written all over it. I brought a mix of runners for hiking, sandals and wedges for a dressier summer look (you never know!). I’m not the kind that can travel with a carry-on! 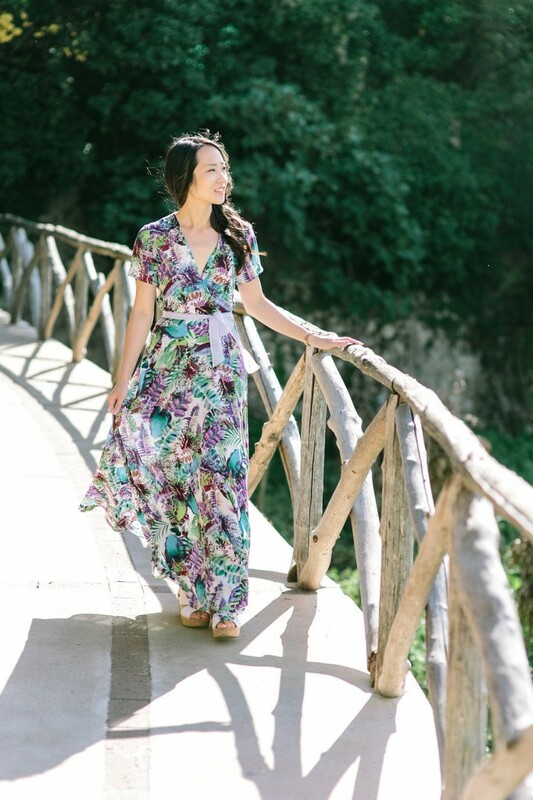 When I think of honeymoons, I also think of kimonos, and this floral kimono from By Catalfo was a pretty piece to wear over a casual outfit or bikini. 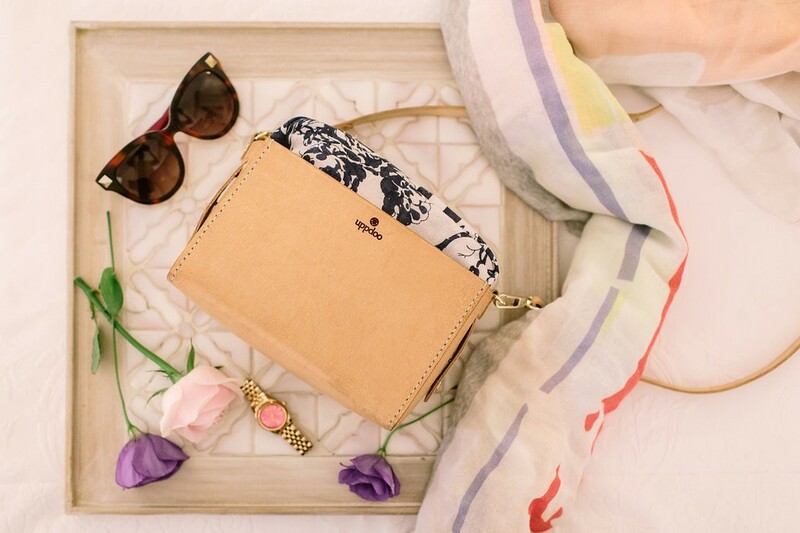 A few of my travel essentials – a comfy square scarf (for the cooler evenings), sunglasses, watch and versatile purse. In October a leather jacket for evening is not bad either. 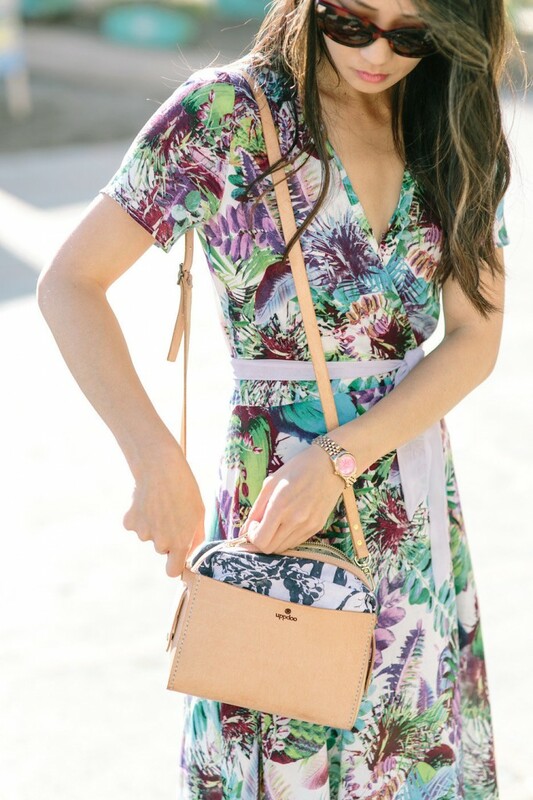 If you’re like me, you like your purses. I carried my essentials in an Uppdoo purse, also designed and made in Toronto. Their “Mingle” purse has a leather exterior (seen in the colour Blush) that can be matched with an interior fabric pouch for different looks. It’s so unique and versatile! 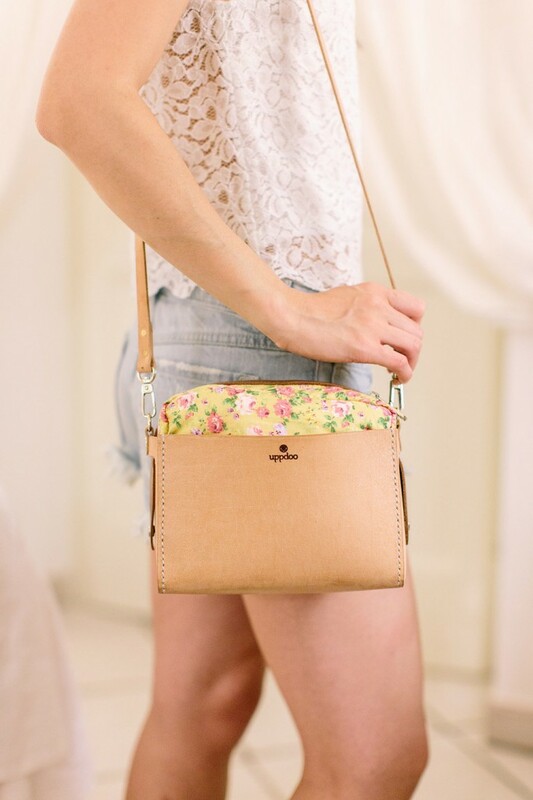 The Uppdoo “Mingle” purse with a different dainty floral interior pouch. 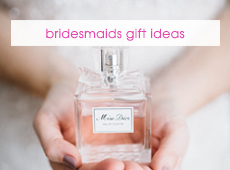 Switch up different pouches for different looks and moods. I stayed five nights in Amalfi, but I could have definitely done more. I love the food, culture and beautiful scenery found in Italy and I’ll probably go back again. 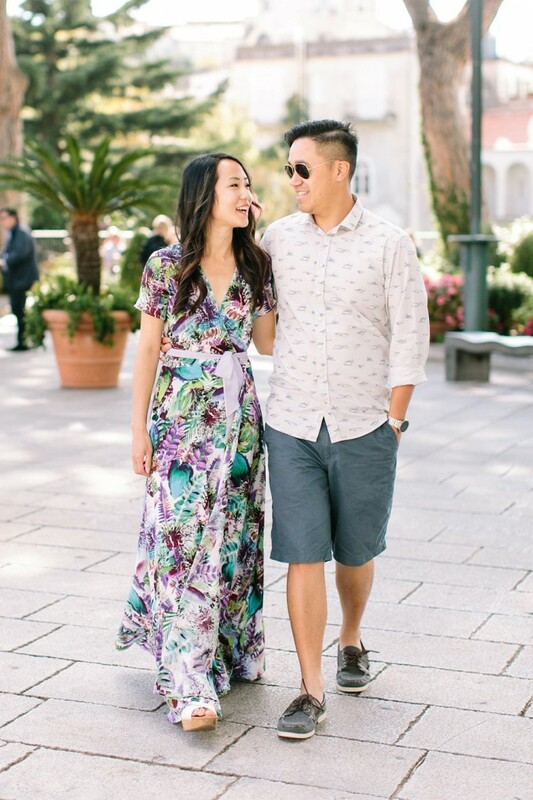 Amalfi Coast is really the perfect honeymoon destination for couples looking to relax and unwind. 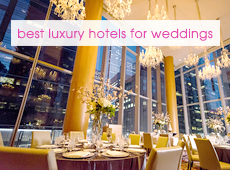 In our honeymoon and travel series, Rebecca takes you to beautiful destinations around the world for honeymoon ideas. 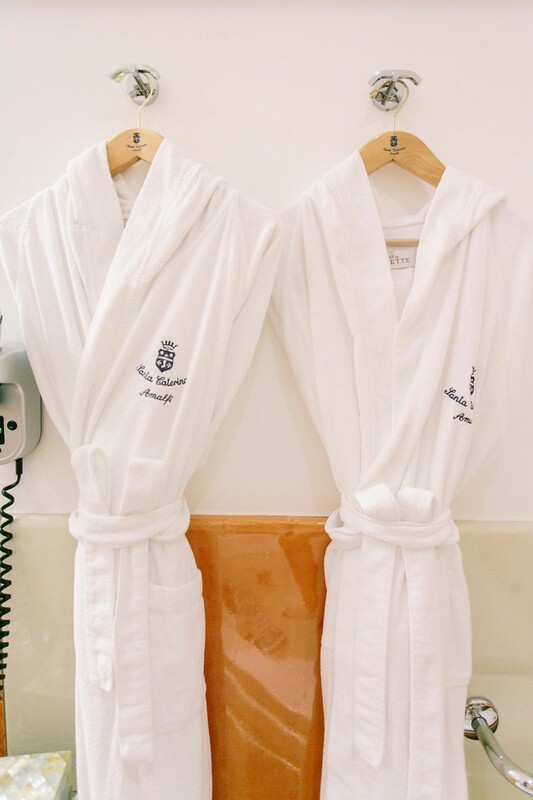 When you think of your honeymoon, you are planning for a once-in-a-lifetime trip and you want it to be both stunning and memorable. 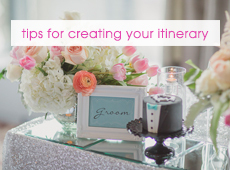 Rebecca gives you an inside look at locations she has traveled to herself to give you some honeymoon planning inspiration. 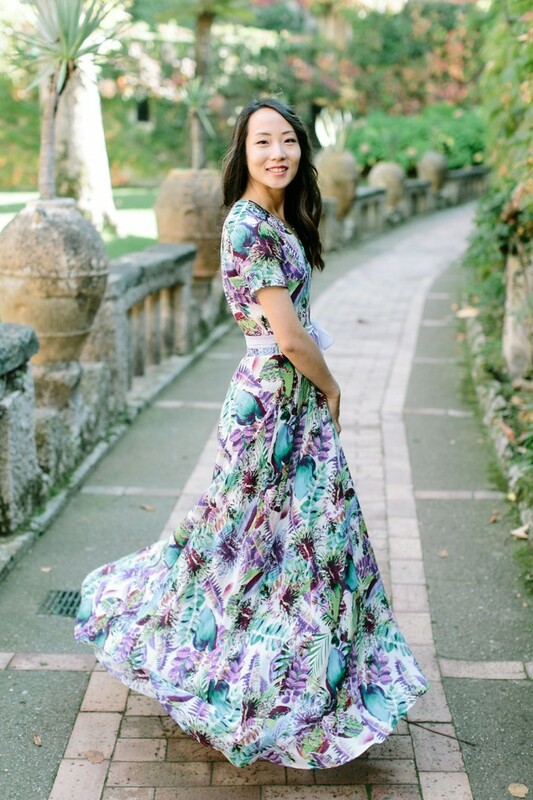 Her travel style is a mix of cultural exploration, taking in the landscape and luxury experiences. 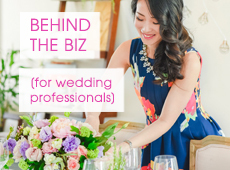 Rebecca Chan is a Toronto wedding planner and day of wedding coordinator providing sophisticated planning for the style-savvy couple. 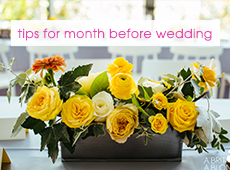 Whether you need planning assistance or wedding day coordination, Rebecca can help you create your dream wedding day. 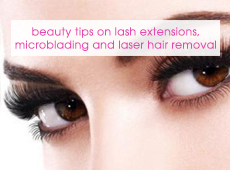 Contact her today, she'd love to hear from you. 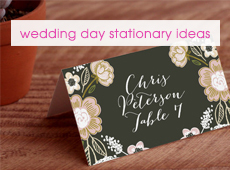 Every great wedding or event starts with an inspiration. What is yours? 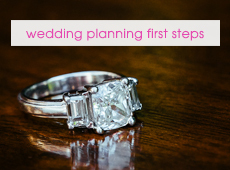 Rebecca brings you her ideas and insights to help you in your event or wedding planning journey. 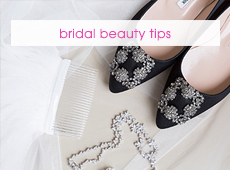 The best part is that it is all at your fingertips here on her personal blog. Enjoy!